The greatest moral challenge of our time? 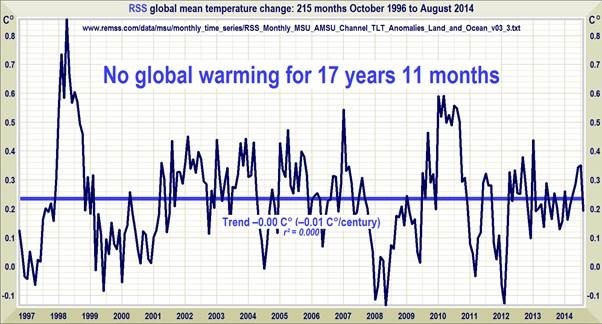 According to the datasets used last year, October 1st will mark the 18th year of “no significant warming trend in surface average temperature,” says Patrick Michaels, director of the Cato Institute’s Center for the Study of Science. All the heat’s just hiding in the oceans, deep down, where nobody can find it.